I am all about trying to make life as simple as possible. But when it comes to food, I like to avoid buying pre-packed or overly processed foods. Instead, I pre-prepare my own foods and store them in the freezer so they are ready to eat at a moment’s notice. 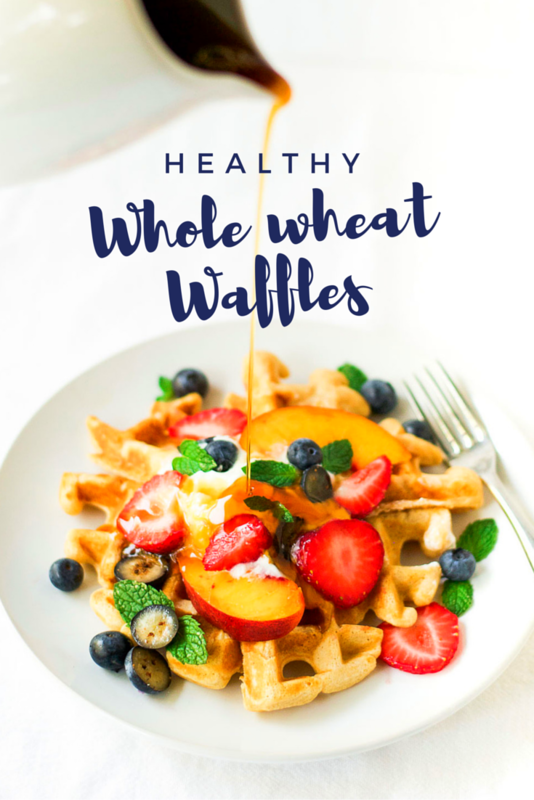 These healthy whole wheat waffles are a perfect example of this habit. I make a big batch, freeze them, and then I can pop them in the toaster whenever someone in the family has a hankering for whole wheat waffles for breakfast. I adapted the whole wheat waffle recipe from King Arthur Flour to make it a little healthier by reducing the sugar and salt content. 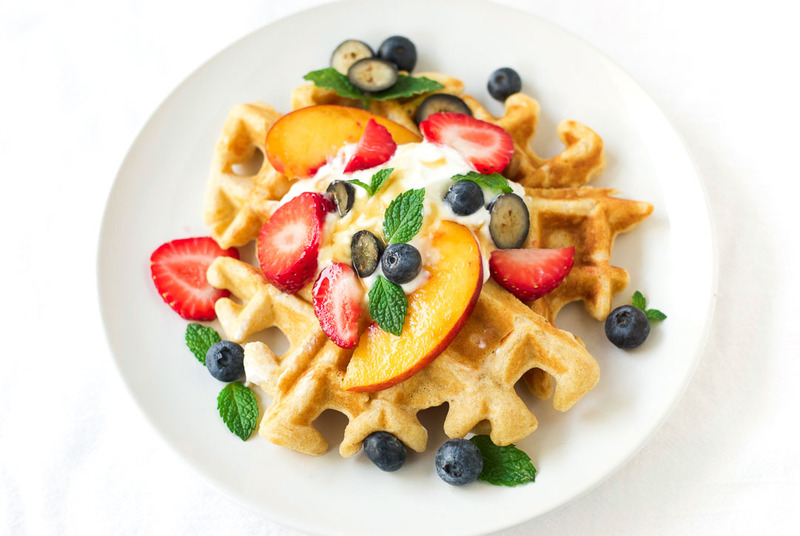 The result is these deliciously light waffles that are so easy to make you could almost do it with your eyes closed. 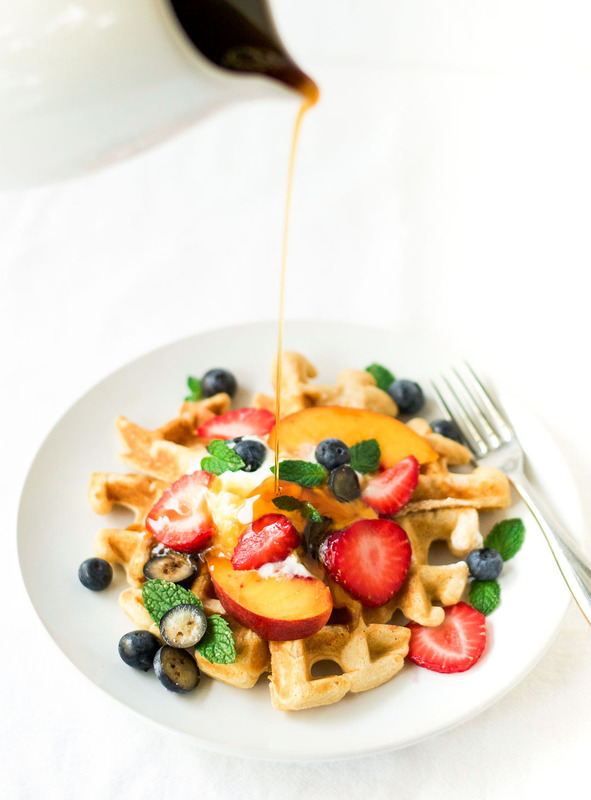 I then topped them with a dollop of plain Greek yogurt (to add some protein), plenty of fresh fruit, a few sprigs of mint, and a drizzle of maple syrup. 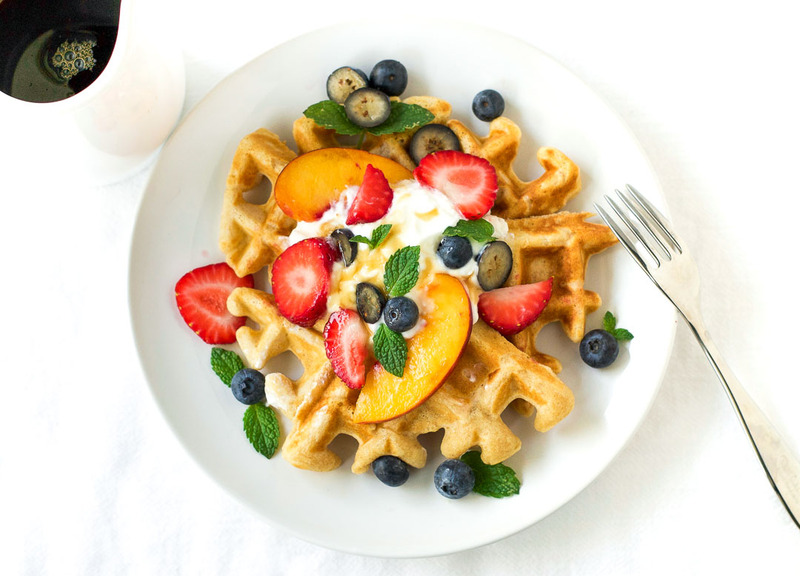 The great thing about these waffles, though, is that they are just as delicious on their own. So if you or your children are so inclined, you can eat them unadulterated straight from the waffle iron (or the toaster if you plucked them out of the freezer). 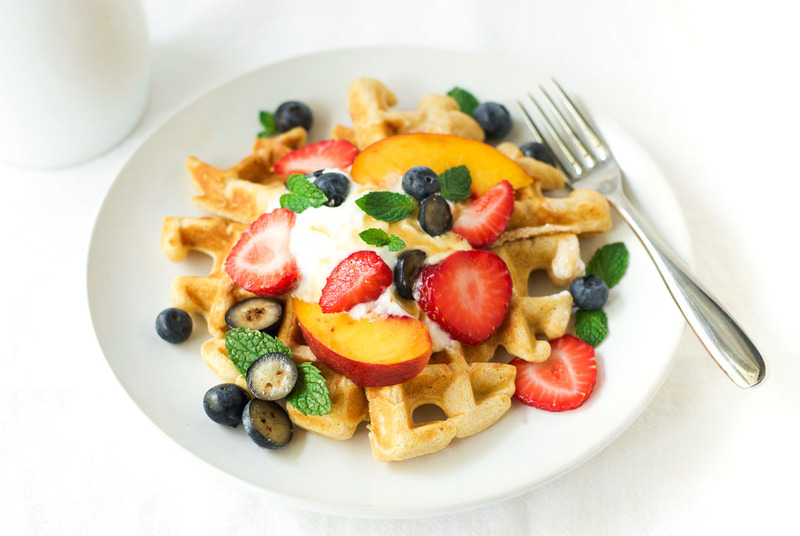 To freeze these waffles, simply lay them flat on a parchment lined baking tray, pop them in the freezer for about 3 hours, then transfer them to a freezer bag or container. They can be kept in the freezer for up to 3 months. To defrost, just put them in the toaster, the toaster oven, or even the microwave for a few seconds. In a separate bowl, whisk together the egg, milk, and butter. Pour the wet ingredients onto the dry and stir until just combined. Don't over-mix or the waffles will be tough. Cook the batter in your waffle iron according to the appliance instructions. Serve on their own, or with yogurt, fruit, and maple syrup. These look so good! I just bought a new waffle iron, now I have a new waffle recipe! I hope you like them! Waffle irons are so much fun to use. And you can make so much more than just waffles in them. I’m loving have another recipe idea for dinner! Thanks, Estherjane13.